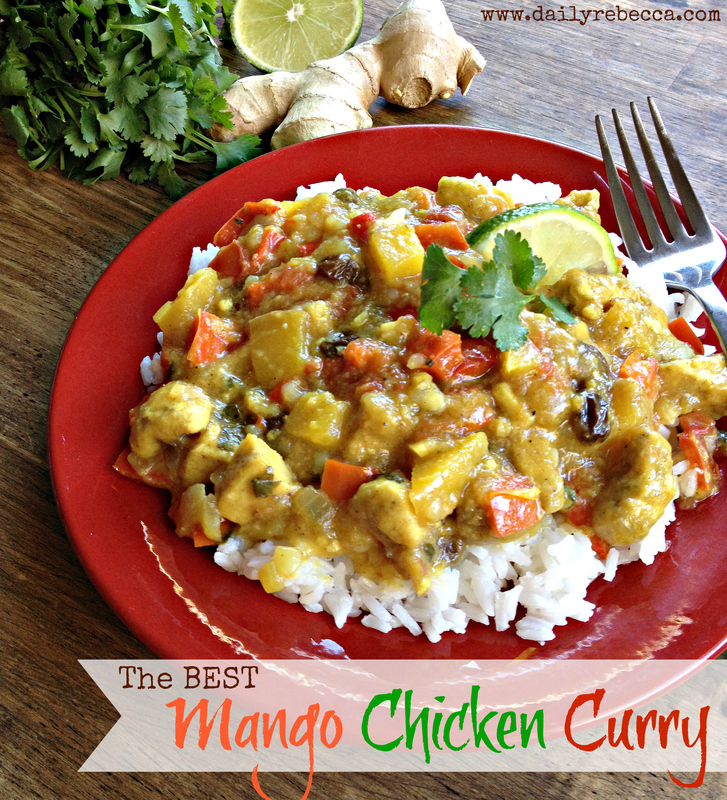 This is a great combination of fruit, vegetables and chicken in a hot spicy curry. You can add less spice if you like, but I like it hot! Place half of the mango slices into the bowl of a blender with the coconut milk. Blend until smooth. Heat the oil in a large saucepan over medium-high heat. Cook... Add stock mixture and chicken, cook stirring for 2 minutes or until sauce is thickened and chicken is hot. 11. Stir in onions and mango. 12. Sprinkle with cashews (if using). 11. Stir in onions and mango. Method. STEP 1 Fry chicken meat. When browned, add red curry paste and cook for a further 1-2 minutes. STEP 2 Pour over coconut cream and add snow peas.... Chicken Curry, with Sweetness and Spice, Mango Is Nice May 4, 2012 by Ingrid Beer 8 Comments Back when I was a just a wee little girl, my palette could really only handle fairly middle-of-the-road flavors. Add the chicken, curry, ginger, garlic, salt and cayenne. Cook and stir for 5 minutes. Cook and stir for 5 minutes. 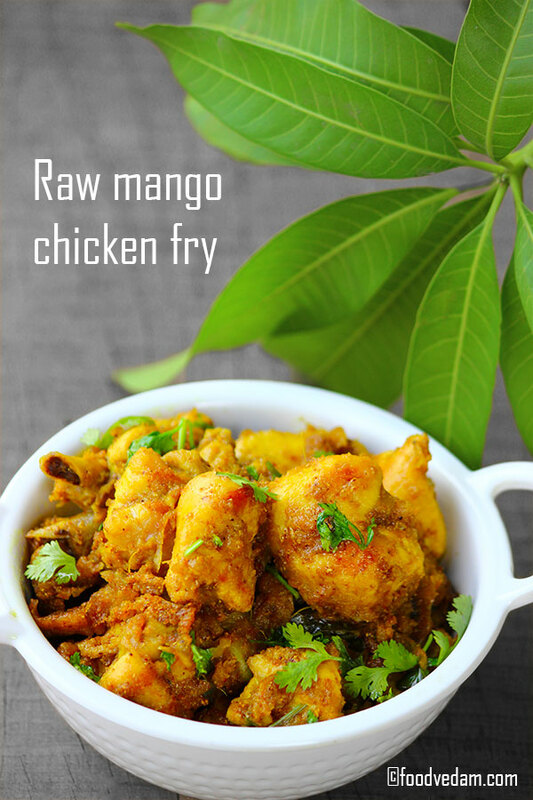 Stir in the mango, coconut milk and tomato paste; bring �... Mango chicken. 1. Heat half of oil in a large frying pan or wok on high. Cook chicken in batches for 3 minutes, until brown and cooked through. Remove from pan and set aside. 2. Heat remaining oil in same pan. Cook capsicum and chilli for 1 minute. Add rice, peas and onion. Stir-fry for 2 minutes, until rice is heated through. Mango and chicken curry Gora! Gora! Gora! Heat vegetable oil in a large skillet over medium-high heat and stir in the chicken breast. Cook the chicken breast until no longer pink in the center. Transfer cooked chicken to a plate. This delicious chicken curry is Malaysian inspired. The sweetness from the mango, marries well with the spiciness from the curry. Serve with plain or coconut rice. The sweetness from the mango, marries well with the spiciness from the curry.